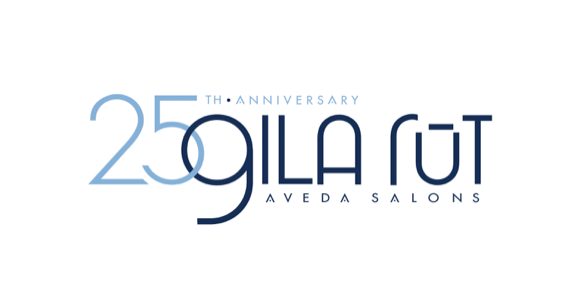 Viviana Ley has been a client of Gila Rut since 2002. During these years, not only has her hairstyle evolved but so has her relationship with her stylists. She has shared stories of her family, professional goals, social and love life with us at Gila Rut. It is a pleasure to be a part of her life and to have the joy of seeing her every time she visits San Diego now that her professional career has taken her to New York. What is your relationship with Gila Rut? Elida is talented, big-hearted and hardworking. She’s blossomed since she began working at Gila Rut in 2005. When she started, she was a young girl full of dreams, and now she’s a woman achieving big things. She’s surrounded by love and support from her husband and three sons. Her big heart and unique humor make her a favorite among our team. As an educational director, Elida’s commitment to our team’s growth has been essential to our success. We’re thrilled to be celebrating 25 years and grateful she’s been along for the ride for 13 of them. Fun fact: Her talent expands beyond hair and into the kitchen, and she showers us with delicious treats. Michael P. Hart-Abshire, a.k.a MPH! He is one of our amazing managers and has been a part of our team for over 10 years! He is a big influence, supporter, cheerleader and contributor to our culture. His warm smile and inviting energy makes him a true pleasure to be around. He is talented in more than one area, but one of our favorite areas is his high skill in makeup artistry. Paws up! I met Keri (the owner) when I first moved to San Diego and knew of the great reputation she/Gila Rut had in the industry and the Aveda world. Prior to Gila Rut, I was a Team Leader for Aveda here in San Diego. What was your defining moment that brought you to be a hairdresser/manager? What was your profession when you started coming to Gila Rut? What is it now? It’s provided me a safe place to ask questions and step out of my comfort zone a little bit. When I moved to San Diego in 2002, I asked my very good friend, the lovely Linda Long, where she got her hair done. I always loved the way her hair looked. I was the Director of Forward Planning for KB Home. Now I have my own consulting business and two wonderful partners. We do a lot of work for KB Home and other builders in southern California. I love art. Lately, I’ve been working in encaustics.